Diameter of the surface: 38 cm. 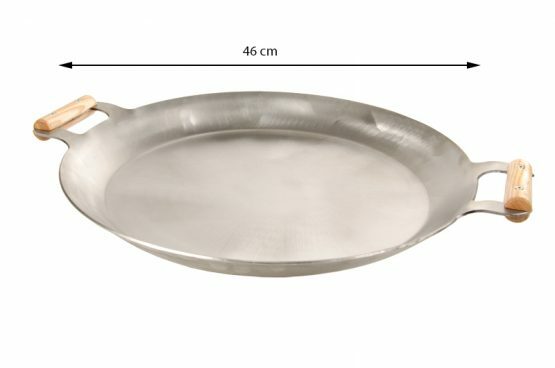 Height of the pan’s side: 5 cm. Pan is made of 3 mm steel. (the grate in the picture is not included in the price). 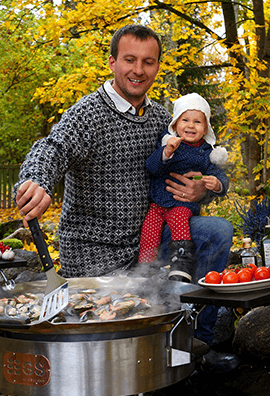 PRO- 720 is a popular model among home users who entertain many guests and organize large grill parties. This model is also used by caterers. High-rimmed thick-bottomed (4 mm) pan is a well functioning Item. 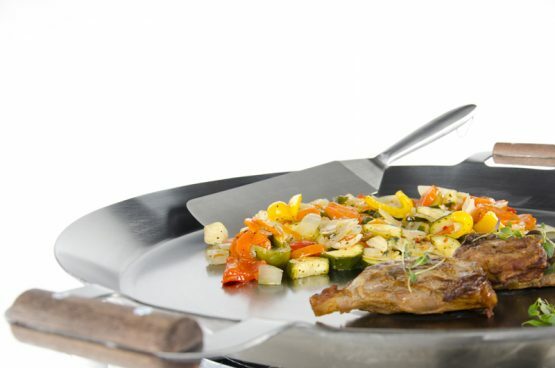 PRO-720 enables to prepare different dishes from raw and pre-cooked ingredients. 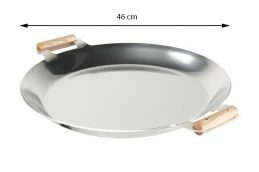 The pan fits 20-30 portions depending on the dish cooked. Pan’s flat bottom perfectly enables to keep the food warm. 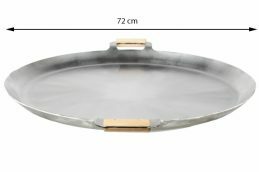 The pan has a 5 cm rim, which allows the food to be stewed and steamed (under the lid), which is a great advantage comparing to low-rimmed pan.